Our “character development program” uniquely called S.P.A.R.K. is at the center of everything we do at Iroquois Spring. 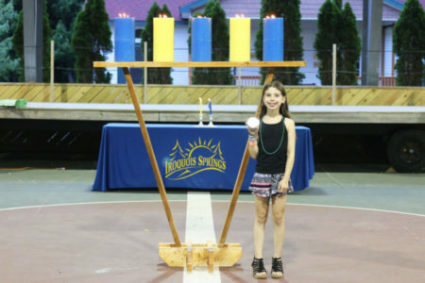 Campers know and understand that being part of a special community like Iroquois Springs requires each and every one of us to play a part in creating an environment that campers and staff feel supported, respected and proud of each and every day, where “being a difference maker” is something we celebrate. S.P.A.R.K. stands for Selfless, Resilient, Authentic, Passionate and Kind, character traits that are at the core of what our community stands for. In fact, throughout the summer, the entire Iroquois Springs community gathers for special S.P.A.R.K. 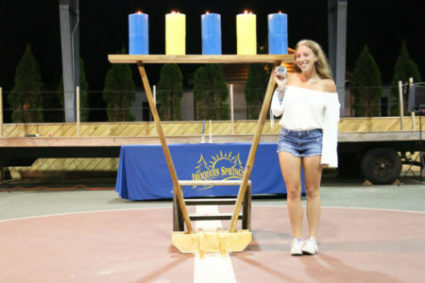 ceremonies that honor campers and staff who have demonstrated these qualities and characteristics, not only throughout the summer but throughout the rest of the year too. Campers and staff alike are recognized in front of the entire camp, light one of our S.P.A.R.K. candles and receive a keepsake that we hope will remind them of this special honor for many years to come. 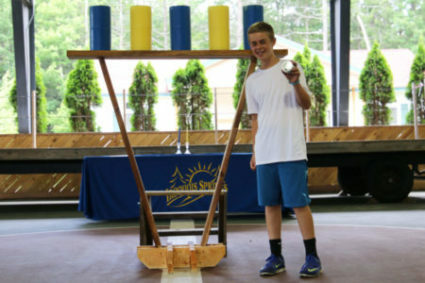 S.P.A.R.K Interviews 2018 from Iroquois Springs Camp on Vimeo.